Noel Meade's two stable stars Road To Respect and Disko are likely to be in action at Down Royal next weekend. 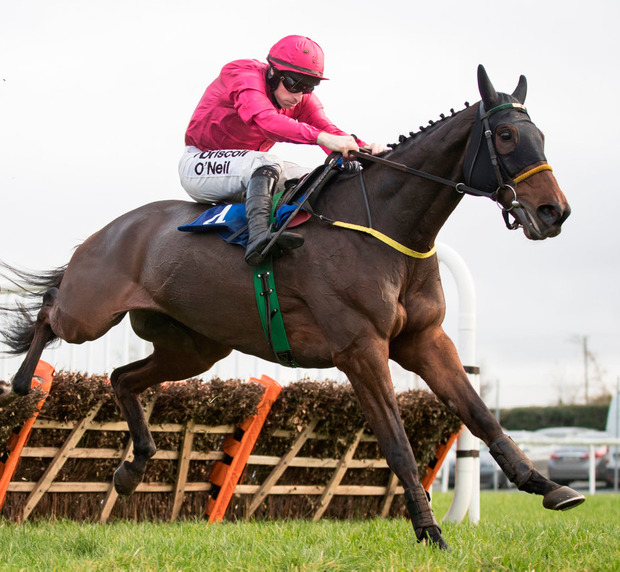 Road To Respect provided Meade with a Cheltenham Festival winner in March when lifting a handicap, but he stepped up to Grade One level at Fairyhouse at Easter and continued his progression on his return to action this season, winning the Irish Daily Star Chase at Punchestown. Disko has always been held in the highest regard by Meade and after finishing third in the JLT at Cheltenham, he relished the step up to three miles at Punchestown, running out an easy winner of the Growise Champion Novice Chase. There are two suitable races for both horses, the Grade One JNWine.com Champion Chase and the Grade Two MyCarNeedsA.com Chase over two and a half miles. "At the minute it looks like both Disko and Road To Respect will run in Down Royal," said Meade. "In which race, I'm not sure, but Michael (O'Leary owner of Gigginstown House Stud) is quite keen that the two of them run. Both are well at the minute. "Road To Respect came out of the race at Punchestown good, and Disko worked (on Wednesday) and was in great form." Yesterday, Monksland pulled out all the stops to get back to winning ways in the He'llberemembered Hurdle at Thurles for Meade. The classy stayer was sent off the 8-11 favourite after finishing third in a charity race at Punchestown last week but Sean Flanagan had to get to work after the fourth-last, with Polar Present going great guns out in front. Meade said: "It was hard work and Sean said he never travelled at all and the ground was a bit quick for him. "He has had plenty problems over the years and when the ground is any way good, he was knocking the top off it and needs soft ground to be at his best. He is a 10-year-old now and has been around a while, and that is part of it too, but today was the plan. "His pedigree is all stamina and he does stay three miles. I don't know where he is going to go and you couldn't say he is the horse he once was, but we'll peg along and try and keep him sound and run him wherever he has a chance. "I would say at some stage we could try him over fences in one of those big races like the Irish National. There might also be a conditions chase he could run in. "We'll see how the season goes along but every race we win with him is a bonus as he hasn't been easy to keep sound."